Need the undivided attention of a precise demographic group? Whether you want to connect with C-suite professionals, active travelers, tech-savvy teens, likely voters or anyone else, we’re happy to make the introduction. 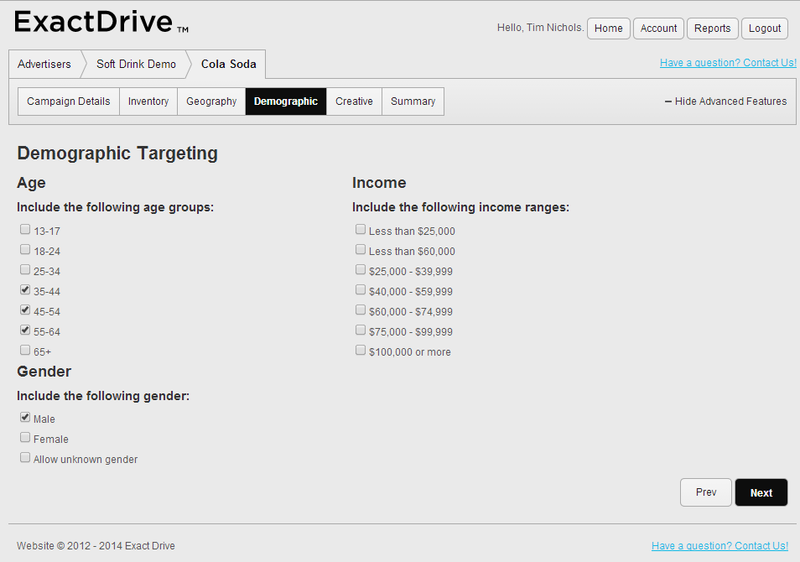 Online marketing campaigns planned, managed and optimized by Exact Drive ensure online ads target anyone, anywhere. Age, gender and income are the foundation of online advertising. Refine your approach using demographic targeting that places online banner advertising on sites your targets visit most often. Then customize geographically by country, state, city, DMA, ZIP code or congressional district. A demographic profile can be used to determine when and where advertising should be placed so as to achieve maximum results. In all such cases, it is important that the advertiser get the most results for their money, and so careful research is done to match the demographic profile of the target market to the demographic profile of the advertising medium. Dividing consumers into groups based on age, gender and income can help advertisers determine their target audience for particular products and develop ads geared toward a specific demographic. Advertisers typically combine several variables to define a demographic profile. A demographic profile (often shortened to "a demographic") provides enough information about the typical member of this group to create a mental picture of this hypothetical aggregate. For example, an advertiser might speak of the female, making more than $40,000 a year that's between the ages of 18 to 24.